Looking for movie tickets? Enter your location to see which movie theaters are playing Save the Last Dance near you. 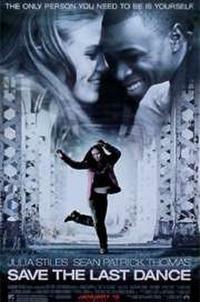 A white teen (Julia Stiles) falls for a black student (Sean Patrick Thomas) who also loves dance.